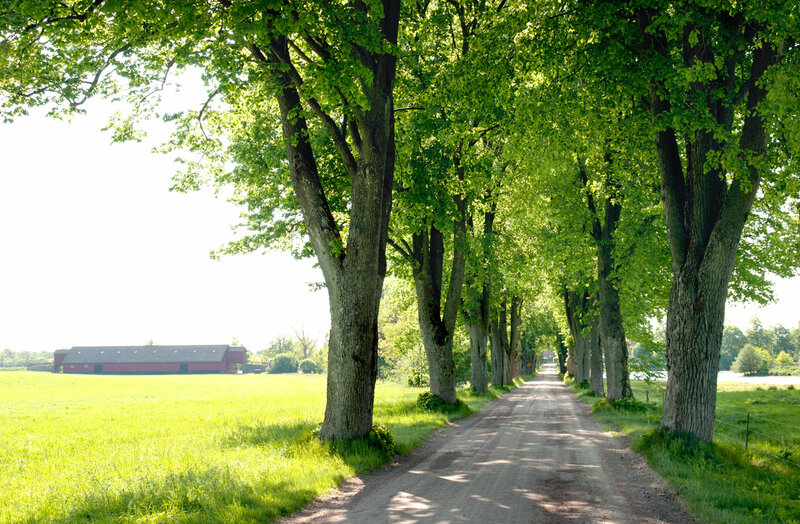 Scania, the southernmost province of Sweden since the 17th C. is topographically rather different than what the countryside looks like in the rest of Sweden. Surrounded by the sea on 3 sides the region consists of open undulating landscapes interspersed with hardwood forests and receding pinewoods, the latter foreign to Scania and in many places nowadays replaced by beech and oak plantations. In fact a scenary much more reminiscent of the northwestern parts of the European continent and the British Isles than the rest of Scandinavia. In the centre of Scania is Trolleholm, a place where we strive towards maintaining, creating and recreating a landscape both pleasant to behold and economical to cultivate. With the expertise of the University of Agriculture (Alnarp) we have worked out a ”Plan for a Manorial landscape” which serves as a guide for present and future development. Copses, avenues of oak or lime trees, hedgerows, ponds in between large arable fields adapted to modern agriculture and also attractively maintained rental properties with upkept gardens. These are some of the ingredients that make up this Plan. Another purpose is to provide an environment in which the indigenous flora and fauna will benefit and prosper. Over the last 40 years the Home Farm has increased from ca 400 hectares to ca 1 600 and as a result only a small number of tenant farmers remain. Likewise, woodland has increased on earlier grazing land – today the property consists of 50 % arable land and 50 % cultivated woodland, 5 000 hectars in all.